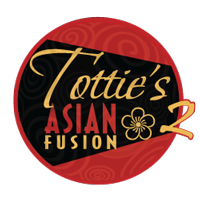 Tottie’s Asian Fusion offers affordable “casual catering” that are created with an exotic Asian flair. From enticing appetizers, hors-d’oeuvres and desserts to striking entrees prepared in authentic Thai, Vietnamese, Laotian and Chinese culinary styles, our catered fare is made with quality garden-fresh ingredients and prepared with pride – just like we’re cooking for the family. We even customize our dishes to suit special dietary needs. Your guests will be captivated by this refreshing change from the ordinary!